Insurance industry has seen various up and downs in last decade, owning to a series of political and industry wide occurrences. Insurance has become one of the most challenging businesses over years and lot of insurers are venturing into newer products and line of areas. This is where the need of reinsurer has gained prominence recently. Munich Re Group or Munich Reinsurance Company is a reinsurance company based in Munich, Germany. It is one of the world’s leading reinsurers. Data form the core for success for a reinsurer. We Interviewed Vishnu Nanduri who Heads Data Analytics Non-Life, Asia Pacific for Munich Re, based out of Singapore. Dr. Vishnu Nanduri received his Ph.D. and M.S. in Industrial Engineering from the University of South Florida with a focus on Reinforcement learning and its applications to electric power systems optimization. He is currently the Head of Data Analytics for the Non-Life Business of Munich Reinsurance in South east Asia, Japan, Korea, and India. 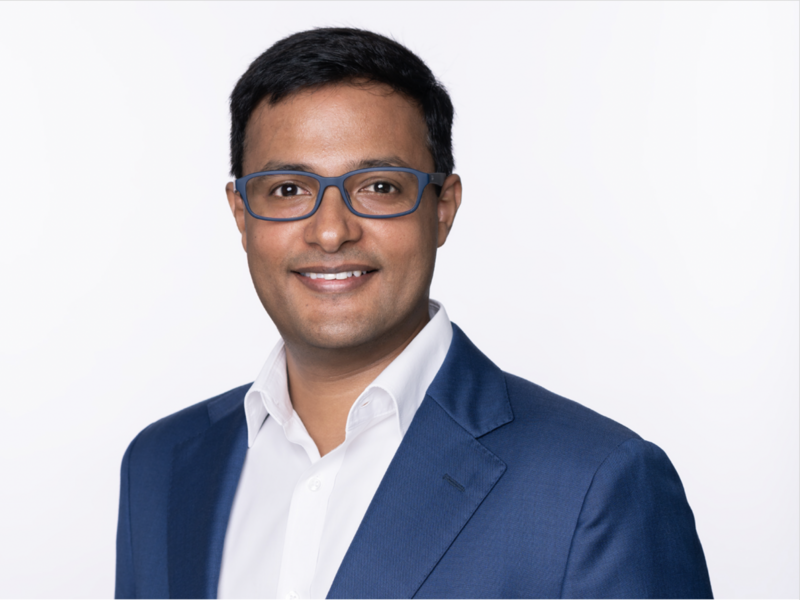 He has previously led analytics engagements at Prudential Services Singapore and Data Science teams at IBM and Impetus in India. He also worked as an assistant professor of Industrial Engineering (Operations Resarch) at the University of Wisconsin-Milwaukee in the USA for 4 years. He has authored / co-authored over 14 journal and conference articles in top IEEE and IIE publications. AIMAnalytics India Magazine: How important is analytics for MunichRe? VNVishnu Nanduri: Analytics is a key pillar in Munich Re’s growth strategy. We have invested heavily in growing our AI, Big Data, and machine learning expertise both by hiring and by grooming talent within the organization. Overall, we have more than 250 analytics experts globally, across five regional analytics centers. AIM: Can you give a specific use case where you utilized data science in furthering your goals? VN: While there are many use cases, a good one that comes to mind is helping our customers with targeted marketing using cross-sell / upsell recommendation engines. Creating a targeted recommendation engine that provides intelligence on selling the right product to the right insurance customer using the right channel is an immediate win for many of our insurance customers. Many of our primary insurer clients seek to benefit from these kind of machine learning and data science solutions. Leading a regionally-focused Data Analytics team, my focus is on providing such solutions to many insurance companies in India, Japan, Korea, and Southeast Asia. Some of the top players in these regions are using our analytics services. AIM: How can a data scientist make career in Munich Re? VN: We aim to expand beyond our team of 250 experts in this space, and are committed to recruiting the best data scientists around the world. As a data scientist myself, I believe that Munich Re and the reinsurance industry at large offers our profession a lot of meaningful and satisfying work. From our vantage point, we get to see the latest and most influential insurance trends across the globe, and have an opportunity to work with numerous insurance companies. My team has only been in place for the past eight months, and we are currently working with half a dozen insurance companies in the Asia Pacific region, so it’s a fast-paced and dynamic place to be. AIM: Personally, how did you get started with analytics in your career? VN: I was fortunate to have been introduced to this fascinating field of analytics over 15 years ago. My research career in the US during my Master’s and PhD, and later on as a professor in the US, focused on machine learning, reinforcement learning, game theory, and stochastic optimization. As I transitioned into the industry, I was able to bring all these tools with me and apply them to challenges that businesses face every day. AIM: How can organizations better adopt analytics for success? Some key incidents etc from your experience in the same would be useful. VN: “Start small” would be my mantra. Use external consultants or internal analytics teams to tackle the low hanging fruit first and get the buy-in from the entire organization about the potential of analytics. For many clients, we begin with the basics; data quality reports, business intelligence dashboards, before we take them on the journey of machine learning and AI. AIM: How do you see data science industry flourishing in Singapore? Is there still room for growth? VN: There is always room for growth. Singapore is an amazing country with one of the most supportive governments for advanced analytics, AI, IoT, FinTech, and Insurtech. There is a good pipeline of talent from top universities like National University of Singapore and Nanyang Technological University. With Singapore’s commitment to Smart Nation initiatives it also attracts some of the best talent from around the world. There are many meetup groups for data science and AI and also many conferences. So yes, the data science industry is definitely flourishing. AIM: Anything else you would like to add? VN: As AI and Analytics leaders in the industry, we have the responsibility to serve as catalysts for data-driven thinking and decision-making not only within our own organizations but across the industry. Similarly, we also have a responsibility to promote and ensure ethical use of data-driven decision making within our organizations and across the industry.